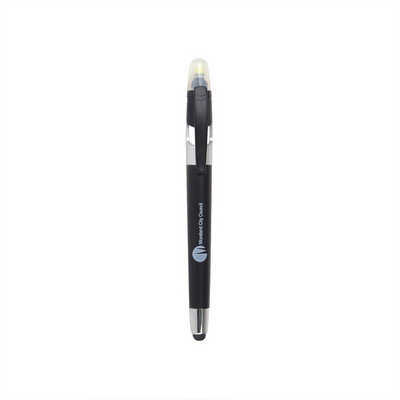 This is a great multifunctional promotional product that combines a ball pen, a highlighter, and a stylus for your smartphones and tablets! Its very comfortable to use, and is customizable to fit your brand image.A must have for every professional! Material - ABS Colours - black, green, blue, orange, red Product size - 14.5 cm Print size - 50x7mm. Price includes : 8wk 1 col /pos print. Setup is included.